This is a Par 4 that will give you a very good chance at an eagle. Play your drive up to the end of the first fairway before the rough. From there, you'll have a short iron to the pin. But if you get tailwind, go for the green! Depending on the wind you can go for a power slice to get to the green in one. Use max overpower combined with right sidespin and right curl. Use about 2 bars of backspin. This is really only an option if you get tailwind. 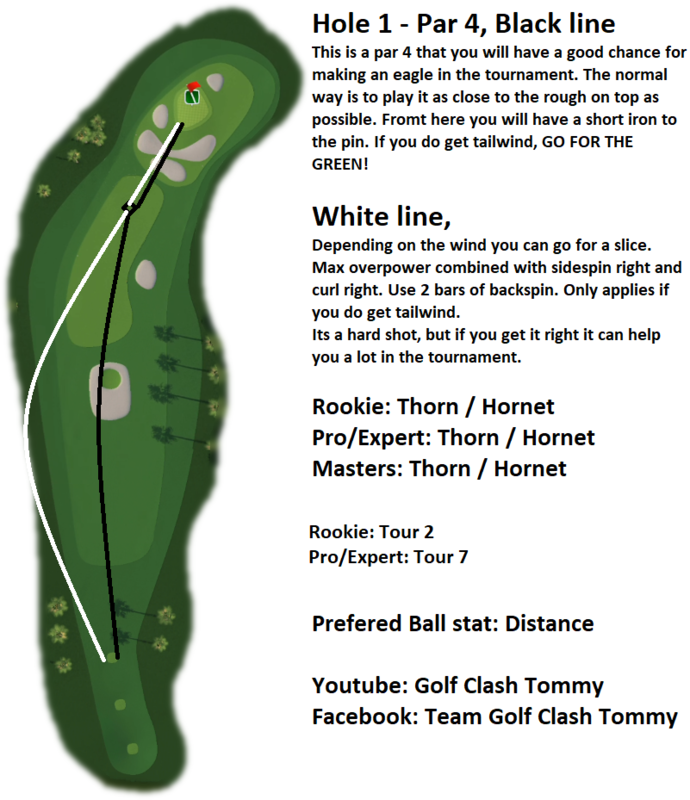 It's a tough shot but can help you a lot in a tournament.